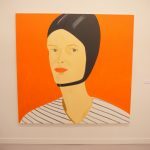 Launched with the first Frieze fair in 2003 and renowned for its bold, innovative interventions at the Frieze London and Frieze New York editions, Frieze Projects is an independently curated platform for artists to show ambitious, experimental work beyond gallery booths and outside the fair tent. At the inaugural edition of Frieze Los Angeles, artists have responded to the Paramount Pictures Studios backlot set, tangling with the dichotomy of artifice and reality in an environment built to look authentic on film. 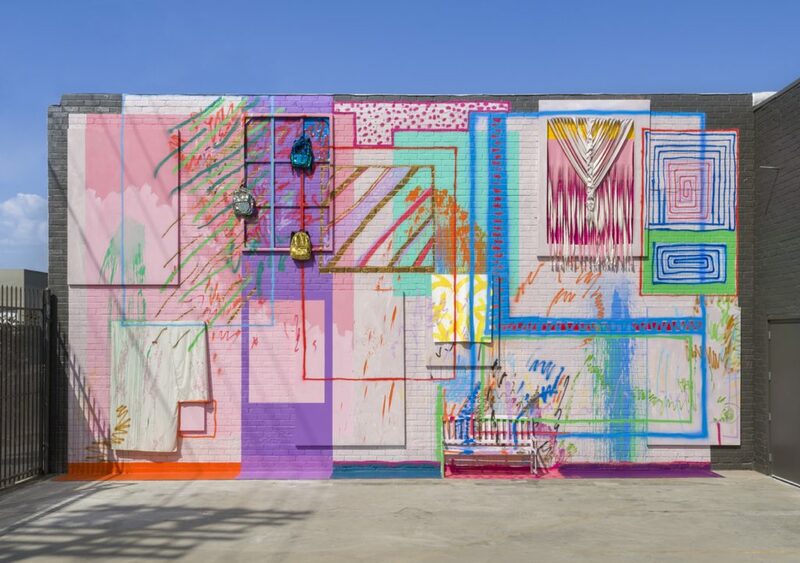 Frieze Projects Los Angeles has created an immersive art experience for visitors to explore this interplay, radically expanding the traditional art fair format and celebrating the practices of an array of local and international artists. 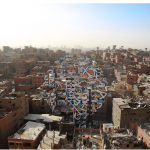 Formerly of Los Angeles’s Hammer Museum, independent curator Ali Subotnick invited artists to present site-specific projects that range from installation to sculpture and performance. 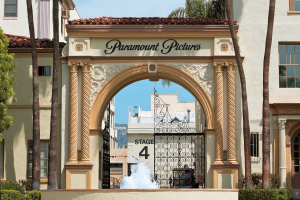 Works will be encountered around the New York Street backlot of Paramount Pictures Studios, in buildings, streets, and interior spaces that have been captured countless times in films, photographs, and television shows. Activating the cinematic setting, Frieze Projects will create a disorienting atmosphere where visitors are in two places at once: an artificial New York City within Los Angeles. Leading guests from the fair tent to the streets of the backlot film set, stickers designed by Barbara Kruger will prompt visitors to contemplate philosophical questions such as “Who will write the history of tears?” “Are there animals in heaven?” or “Who salutes longest?”. Inside the classic brownstone building, Lisa Anne Auerbach will present one-on one counselling sessions about collecting and creativity with a “Psychic Art Advisor”. A generic domestic interior in the neighboring unit has been transformed by Sarah Cain into an all-encompassing painting installation that spreads from the walls to the floors and windows, and that will also feature a new stained-glass piece, as well as chocolate service, one of the artist’s vices while painting. Around the corner on a faux brick wall, Cayetano Ferrer’s dynamic neon piece evokes New York’s vernacular architecture and signage. Down the street, Karon Davis presents Game, a work that explores how schools have become a place for the hunted—our children— through dramatically staged life-size sculptures. On Saturday, February 16 (12:30 pm and 2:00 p.m), Davis will also present a musical procession on the backlot in collaboration with Silverlake Conservatory of Music and White Hall Arts Academy. 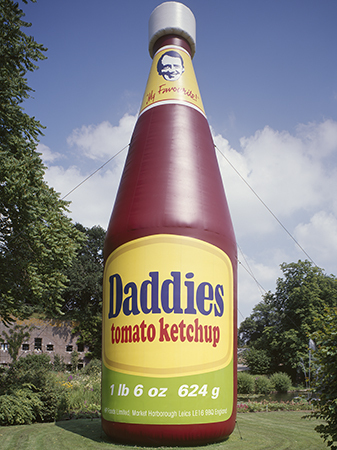 Outdoor sculptures around the backlot and studio campus include Paul McCarthy’s intervention in the financial district with a monumental inflatable artwork, Daddies Tomato Ketchup Inflatable (2007), exhibited in Los Angeles for the first time. Corazón del Sol will revive her mother Eugenia P. Butler’s seminal project The Kitchen Table (1993), with a new conversation over a meal which will be screened in the lobby of the financial district skyscraper. And installed next to the backlot entrance, Shahryar Nashat’s marble sculpture Mother on Wheels (Oro Grigio) (2018) is inspired by the pedestals he encountered at New York’s Frick Collection, reimagining this fundamental support structure as an autonomous matriarchal presence. Finally, inside the Gower Street entrance to the fair, Max Hooper Schneider’s Female Odobenid (2019) exemplifies Schneider’s exploration of evolution and a potential future in which humans and animals become one. This entry was posted in NEWS and tagged Barbara Kruger, Catharine Czudej, Cayetano Ferrer, Eugenia P. Butler and Corazón del Sol, Frieze Los Angeles, Frieze Projects, Hannah Greely, Karon Davis, Kori Newkirk, Lisa Anne Auerbach, Max Hooper Schneider, Patrick Jackson, Paul McCarthy, Sarah Cain, Shahryar Nashat, Tino Sehgal, Trulee Hall. Bookmark the permalink.